Bail has been set at $15,000 for two men from Ottley Hall who are facing numerous cocaine related charges. 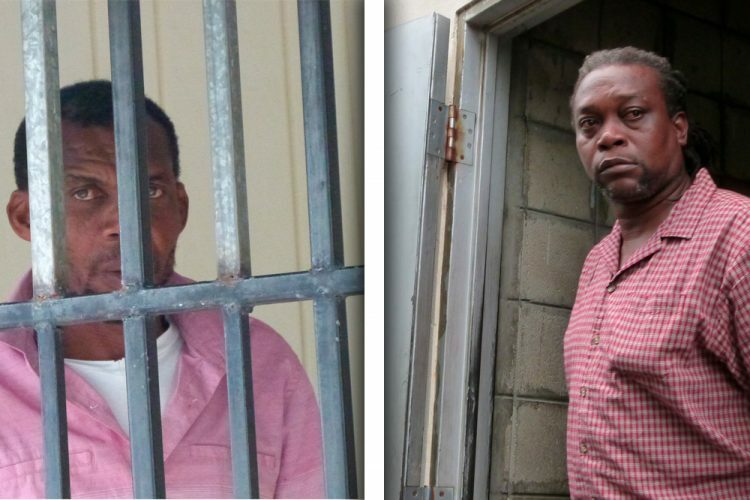 Junior ‘South’ James, a dock worker and Joseph Sutherland a stevedore, were brought to the Serious Offences Court yesterday. The two Ottley Hall residents were both charged for, on April 5, having in their possession, in Kingstown, 345g of cocaine with intent to supply, having the controlled drug for the purpose of drug trafficking, and attempting to import the drug. Between April 3 and 5 they are also charged with, in Ottley Hall, conspiring to traffick the drug. Both defendants, with their faces set, mumbled that they were not guilty. There was no objection to bail from the prosecution, save that there were reporting conditions, that they surrendered their travel documents, and that stop notices were placed against them at all ports of entry or exit. Therefore, Chief Magistrate Rechanne Browne-Matthias set bail at $15,000 with one surety, and ordered that the duo report to the police station every Monday and Thursday. Stop notices were placed against them, and all their travel documents were ordered to be surrendered. The matter was adjourned to June 7. James’ common law wife was accepted as his surety, and Sutherland said someone would bail him. The two were not the only ones on cocaine related charges yesterday. Venus Baptiste of Canouan was also charged with having 96g of cocaine in his possession in Canouan, on April 5, with intent to supply. Baptiste, 32 years old, is represented by attorney Grant Connell, and was allowed bail in the sum of $3000 with one surety. Baptiste will reappear in court on June 7.